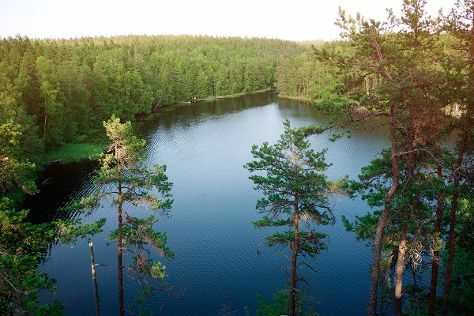 Kids will enjoy Nuuksio National Park and Moomin World. You'll find plenty of places to visit near Turku: Old Rauma (in Rauma) and Teijo national park (in Pernio). There's still lots to do: explore the historical opulence of Turku Castle, tour the pleasant surroundings at The Archipelago Trail, examine the collection at Luostarinmaki Handicrafts Museum, and buy something for everyone on your list at Turun Kauppahalli. To find where to stay, reviews, and more tourist information, read Turku trip itinerary website . In June, daytime highs in Turku are 20°C, while nighttime lows are 9°C. Finish your sightseeing early on the 15th (Sat) to allow enough time to travel back home.